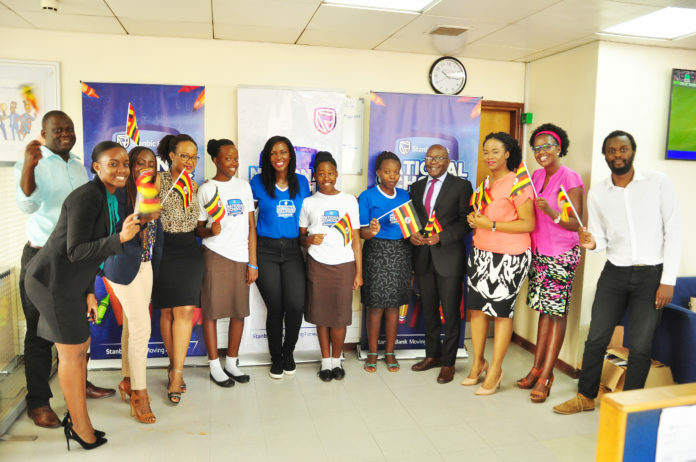 Stanbic Bank Uganda (SBU) has flown off Tracy Arinda and Evelyne Mugisha, students of Mary Hill High School Mbarara from Western Uganda, for an educational all-expenses paid trip to South Africa. 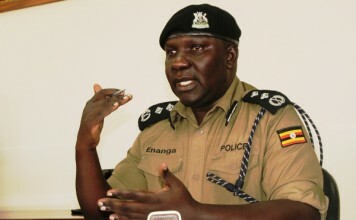 This is part of the top prize for emerging as the overall winners of the Stanbic Bank National Schools Championship 2017 competition, which saw over 3,000 students from 40 secondary schools participate in a series of educational activities ranging from class debates, quiz competitions and dynamic group projects. VICTORIOUS: Stanbic Board Chairman Japheth Katto (2nd right), Director Education KCCA, Juliet Namuddu (right) and Cathy Adengo, Stanbic Bank’s Head of CSR and Communications (left) pose for a group photo with Mary Hill High School representatives, the winners of the 2017 Stanbic National Schools Championship. In partnership with the Ministry of Education and Sports, SBU launched the championship in February 2017, and on top of the all-expenses paid trip to South Africa, part of the prize from the sponsors is a solar system for Mary Hill High School is Shs20 million. 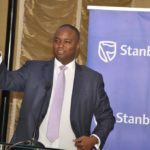 While seeing off the winners, Daniel Ogong, Head of Marketing at Stanbic Bank Uganda said, one of the core initiatives of Stanbic Bank is investing in education. 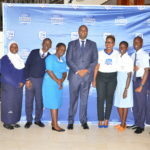 Cathy Adengo, Head of Communications and CSI Stanbic Bank said, Mary Hill High School managed to impress the judges and the audience with their Co-operative Union Project Proposal Bank Simulation Project that scored 83%, and she suggested more schools participate in next year’s competition. The first runners up was the team of Kibuli SS from the Central region who walked away with an Apple iPad Air 2 each on top of winning a fully installed water system worth Shs10 million for the school. 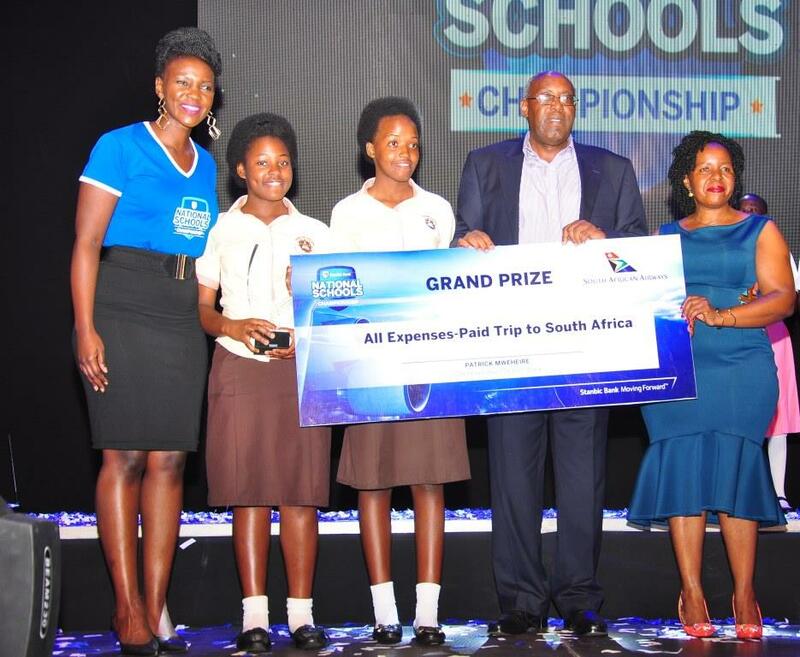 The second runners up was Sacred Heart Girls Secondary School from the Northern region, who won savings accounts worth Shs1 million for each participant while the third runners up, Teso College Aloet Secondary School from the Eastern region, earned themselves a savings accounts worth Shs500,000 each.